Tony Donetz has been a US Coast Guard licensed Captain for more than 20 years ( who's counting!). He has been diving for over 35 years. He is a YMCA Divemaster. His love for scuba diving and the ocean is contagious, and he enjoys bringing divers to any of the thousands of shipwrecks that have fascinated him for so long. He loves directing divers to the best places to find local game. 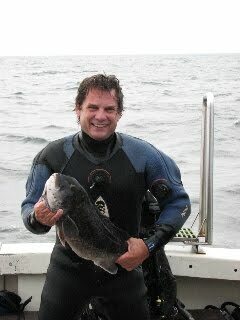 Tony has a wealth of information regarding the New Jersey waters, wrecks and local diving techniques, which he is eager to share with his passengers. Captain Tony's crew are all experienced divers and enjoy making your scuba diving experiences truly fun, safe and adventurous.